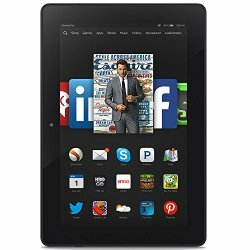 Unhappy with Your OS 5 Fire Tablet Update? Earlier this week, my Fire HD 6 updated to OS 5.1.1 Bellini. I started to write a post on the topic, , but there didn’t seem to be a lot of fuss about it so I put it on hold. Today, however, I seem to be getting a lot of hits on an old Fire OS update post looking for information on the latest update for the tire Tablets. And, so…. Last December, Amazon said that they would provide an update to OS “Bellini” for older Fire tablets. That 5.1.1 update rolled out over the last week for a lot of people and there have been a lot of complaints. For the record, my own personal comment was “Yuck!” Add in the recent update for the Paperwhite and there are a lot of unhappy customers. I miss the carousel on my Kindle Fire. I hate my Kindle upgrade. Demand Amazon to revert UI changes for Kindle. Complaints range from anger at the change, tales of features not working to stories of children coming to their parents in tears because they can’t figure out what happened. Personally, I can understand the frustration. The night before the update, I was reading a book on my Scribd app. The next day, it was like a totally different device. That’s one thing that doesn’t happen with a physical book.! It wasn;t that big of a shock for me because had already used the Bellini OS on the $49 Fire 7. If you are used to the older OS, it is quite different. I hate the fact that I have to be more careful abut swiping the lock screen now. The new OS is much more sensitive to where you swipe than the older version was. There are a couple of caveats, however. 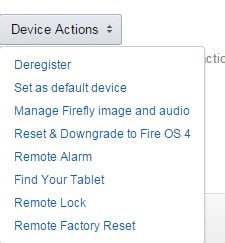 Downgrading involves a factory reset, meaning that you will lose everything on your Fire. Everything will have to be reinstalled from the cloud, so make sure you have synced and backed up all your personal documents. All your apps and anything sideloaded will have to be reinstalled. Also be aware that your downgrade may not happen right away. You initiate the downgrade from the Manage Your Content and Devices page and it can take up to 72 hours. You must leave you device turned on with wi-fi enable and make sure your battery is charged at least 50%. Amazon has a help page with instructions specifically for downgrading here. Even if you downgrade, you will still have the option to upgrade at a later time. So, how do you feel about the update? Love it or hate it? Are you downgrading or deciding to live with it? Lacking a librarian, a school tries to promote reading (The Notebook) – What happens when your school doesn’t have a librarian? New Research Briefing on “Public Libraries in England” Published by House of Commons Library (Infodocket) – An interesting report on the situation with library closings in the UK. Self-Driving Cars And The Kobayashi Maru (Techcrunch) – Really interesting post, with bonus points for the Star Trek reference! Clearing Google’s hurdle, Brave’s ad-blocking browser arrives (CNET) – How does a mobile browser with built in ad capability sound? Amazon’s Kindle Daily Deals include The Pearl that Broke Its Shell by Nadia Hashimi for $1.99 and a selection of Arthur C. Clarke’s works, including Dolphin Island for $1.99. The Barnes and Noble Nook Daily Find is Showgirls, Teen Wolves, and Astro Zombies: A Film Critic’s Year-Long Quest to Find the Worst Movie Ever Made by Michael Adams for $1.99. The Romance Daily Find is Winterkill by P.H. Turner for 99 cents. Kobo’s Daily Deal is Snobs by Julian Fellowes for $2.99. Two days left in the Kobo store’s 30% Off Sale. It ends February 29 and you must use coupon code 30FEB to claim your discount. .
iTunes’ Weekly Bestsellers Under $4 includes Just Desserts: A Bed-and-Breakfast Mystery by Mary Daheim for 99 cents. 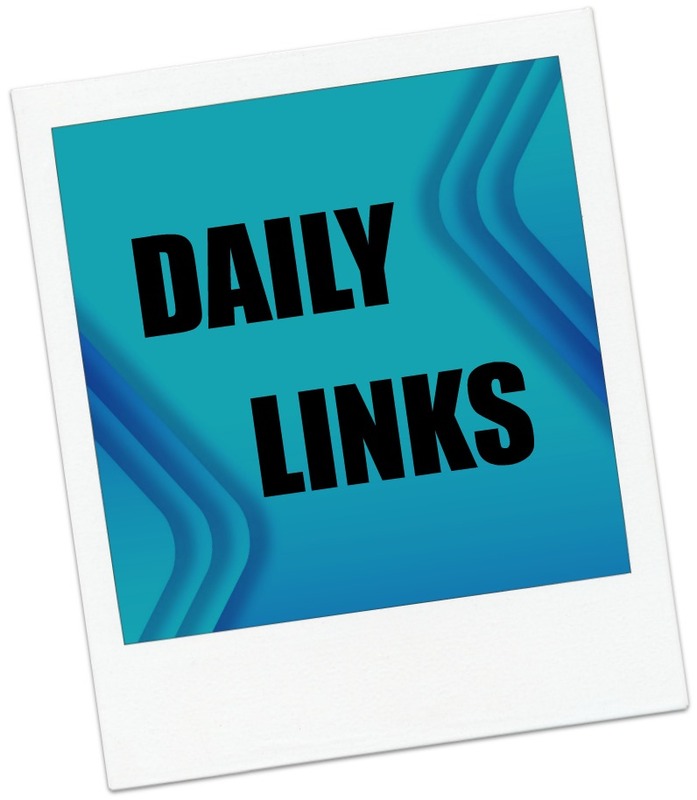 Daily Links and Deals: Which Generation is Most Distracted by Their Phones? Which Generation is Most Distracted by Their Phones? (Priceonomics) – No, it’s not who you think! Read: The full run of If magazine, scanned at the Internet Archive (Boing Boing) – ALL OF THEM! ALL OF THEM! THEY HAVE ALL OF THEM! National Library of Australia Releases 40,000 Hi-Res Public Domain Maps Online (Infodocket) – This is an amazing collection, especially if you are a map lover. How to Stream Audiobooks and Podcasts From the Cloud on the iPad and iPhone (The Digital Reader) – Great tips on how to stream from the cloud on IOS. Amazon’s Kindle Daily Deals features Oscar tie-ins at up to 80% off. Have a favorite? There are so many good ones: The Pianist: The Extraordinary True Story of One Man’s Survival in Warsaw, 1939-1945, Life of Pi, Mary Poppins, or maybe The Silence of the Lambs? The Barnes and Noble Nook Daily Find is Six-Gun Snow White by Catherynne M. Valente, Charlie Bowater for $2.99. The Romance Daily Find is Aching for Always by Gwyn Cready for $2.99. Kobo’s Daily Deal is Room by Emma Donoghue for $2.99. iTunes’ Weekly Bestsellers Under $4 includes Alfred Hitchcock: A Life in Darkness and Light by Patrick Mcgillian for $1.99. Just Announced: The Rosa Parks Collection Digitized and Now Available Online (Infodocket) – The Library of Congress collection showcases 7,500 manuscripts and 2,500 photographs from this collection honoring the Civil Rights pioneer. Disney CEO asks employees to chip in to pay copyright lobbyists (Ars Technica) – I think I have no nice words to say here…. Microsoft’s plan to port Android apps to Windows is dead (The Verge) – Project Astoria is officially dead. Adblock Plus opens up about how ‘acceptable ads’ work (The Guardian) – And just exactly how is any of this in the reader’s interest. Sounds anything but…. Amazon’s Kindle Daily Deals includes The First King of Hollywood: The Life of Douglas Fairbanks by Tracey Goessel for $2.99. The Barnes and Noble Nook Daily Find is your choice of three classic works from Amiri Baraka (aka LeRoi Jones) for just $1.99 each. The Romance Daily Find is The Letters (Inn at Eagle Hill Series #1) by Suzanne Woods Fisher for $1.99. Kobo’s Daily Deal is Mist of Midnight by Sandra Byrd for $2.99. The Kobo store is also having a 30% Off Sale through February 29 is you use coupon code 30FEB . iTunes’ Weekly Bestsellers Under $4 includes Mrs. John Doe by Tom Savage for $2.99. Journalism is in an existential crisis: revenue to news organisations has fallen off a cliff over the past two decades and no clear business model is emerging to sustain news in the digital era. In the latest in our series on business models for the news media, journalist and academic Jane Singer looks at the use of micropayments. Once upon a time, the gap between the relatively low supply of something in high demand – timely and trustworthy information – generated enormous profits for news publishers. But over the past 15 years or so, the digital, social and mobile revolutions have all but obliterated that gap. In response, publishers have scrambled for new revenue streams, and much recent attention has turned to “micropayments” – the payment of a very small amount to access a comparably small bit of content, such as a single story. The traditional media world is one of bundled information, with a lot of diverse content in one package that aims to provide something for everyone. The digital world, though, is an unbundled one. It enables each individual to select one item at a time from among the billions of things on offer. Are we willing to pay for this content? Sometimes yes – see iTunes. But the question for news outlets is whether personalised news can follow the lead of personalised entertainment in generating interest and – in their fondest dreams – income. Blendle is poised to take on the US market. So far, news micropayment initiatives are – at best – a work in progress. The most buzz has been around a Dutch service called Blendle, which claims half a million registered users in Europe and is poised to tackle the US market. Most items on Blendle, which come from diverse outlets, cost between 10 cents and 90 cents and come with a money-back guarantee: you only pay for stories you actually read – and if you then don’t like them, you can ask for your pennies back. The slick interface appeals to fans, as does the lack of advertising (and advertising’s attendant clickbait). But others have flatly predicted the concept is doomed to fail. News consumers want to pay nothing, they say, and even a very small amount of money is not nothing. But perhaps the model here is not an “iTunes for journalism”, if by journalism we mean big-name branded content. Perhaps a crowdfunding site such as Kickstarter offers a better template – the ability for users to stack their coins behind ideas they want to see developed rather than existing stories they want to read. Experiments with crowdfunded journalism have proliferated. 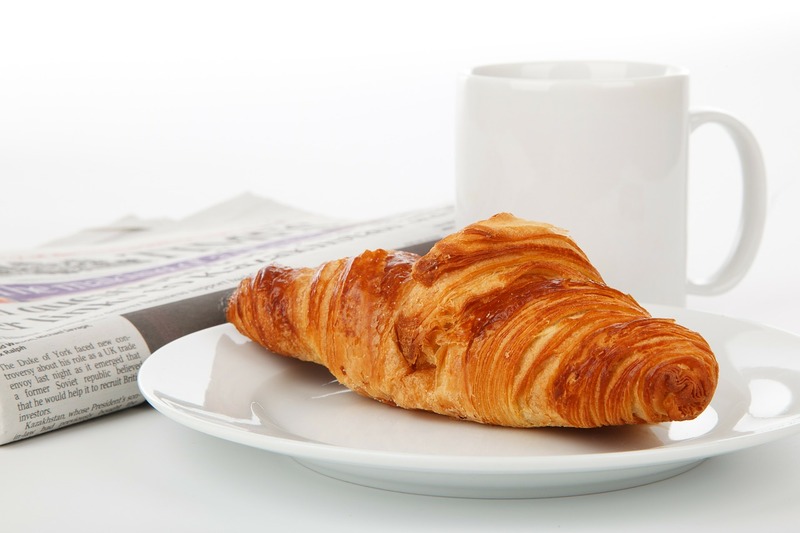 One flavour is essentially a low-cost membership model that allows its member – or donors – to steer journalists to topics of interest. MinnPost, a non-profit site in Minnesota, has made good use of this approach. For instance, a New Americans beat, which covers the state’s immigrant and refugee communities, was launched last October based on pledges from interested donors. In Scotland, a new investigative journalism site called The Ferret also pursues topics that its users say they want; fracking was an early example. And in the Netherlands, de Correspondent drew donations of more than a million euros in just eight days simply on the promise of delivering high-quality stories about important topics rather than “the latest hype”. The other approach reverses the process, in a way, and is closer to the familiar crowdfunding concept – journalists propose ideas they would like to pursue and users back the ones they like. Stories that meet their funding target get written; those that don’t, don’t. Perhaps the most innovative example came from a British site called Contributoria, backed by the Guardian Media Group. Over a period of 21 months in 2014 and 2015, Contributoria published nearly 800 articles on topics from urban regeneration in Beirut to a day in the life of a bookie; its writers earned a total of £260,000 over that time, most of it built up from quite small individual payments. However, such experiments have proved hard to sustain. Contributoria closed in October 2015, with its co-founder declaring that crowdfunding was just one piece of the puzzle. What the initiative really showed, he told journalism.co.uk, was that people have a “voracious appetite … to be part of the journalism process, including the way it gets financed”. Perhaps that is, for now, the takeaway point on micropayments. The desire being given voice is less about paying for journalism than for having a stake in it. News organisations fervently hope that stake will be financial, but for users, “ownership” of the news seems more important than the payment involved. As information proliferates wildly, consumers are saying they want a sense of control over it. Digital media gives them the ability to be reporters, but mostly, they seem to want to be editors: the gatekeepers who decide what news they will see by commissioning a freelance article, or steering an investigative team toward a topic, or engaging with this niche news app but not that one. For news organisations, then, micropayments are just one option among many in a fragile and fractured digital ecosystem – something to add to the revenue mix if doing so requires only small investments of time, effort or money. While experimentation is all to the good, the pay-off from this option seems inherently small. The vast majority of online users do not pay now for digital news and have no plans to change their ways. There’s no evidence of a massive demand from users for the ability to pay upfront to read news content – and, even if there were, the small amount of revenue generated on any given day would fluctuate considerably depending on what was on offer. This is not the most desirable funding model for organisations that need a stable financial base to support staff, infrastructure and the ongoing ability to hold the powerful to account. The reverse option – enabling news consumers to steer the direction of journalistic investigations – seems more plausible and the various non-profit enterprises I’ve mentioned are among those offering examples of ways this might work. But news users aren’t the only ones who like to be in control. Journalists tend to be fiercely committed to the notion of editorial independence – which is another way of saying that they like to decide for themselves what is and isn’t news. Whether they will be willing to share that control – and, if so, what they might be able to extract from users in exchange – remains to be seen. This article was originally published on The Conversation. Read the original article. Re-posted under a CC 4.0 license. Google wants us to change our name from 9to5Google (Update: We’re back!) (9 to 5 Google) – Running afoul of trademark law: the fallout…. Anybody remember when Amazon made everybody take the work Kindle out of their domain names? Yeah, it’s like that. The why’s and what’s of 5G (USA Today) – This is where wireless networks are going – and why it’s a good idea. Tablets Are Dead (Techcrunch) – Not a single new tablet revealed at Mobile World Congress in Barcelona. The Open eBooks Program Brings eBooks to Students Who Need it Most (The Digital Reader) – Ebooks going where they are desperately needed, but could the government manage the program for less? Amazon’s Kindle Daily Deals includes The Dead Play On (Cafferty & Quinn Novels Book 3) by Heather Graham for 99 cents. The Barnes and Noble Nook Daily Find is A Night In With Audrey Hepburn by Lucy Holliday for $1.99. The Romance Daily Find is Safe at Last (Slow Burn Series #3) by Maya Banks for $1.99. Kobo’s Daily Deal is Blackbirds by Chuck Wendig for $2.99. iTunes’ Weekly Bestsellers Under $4 includes The Kill Box by Nicole Christoff for 99 cents. Google is offering a selection of Limited Time Deals that includes Mockingbird (Sequel to Blackbirds) by Chuck Wendig for $2.99.